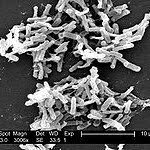 In 2010 I predicted that Clostridium difficile would become a household name. C. diff. is a bacterium that infects the colon causing severe, sometimes life-threatening, diarrhea. C. diff infection is frequently a complication of antibiotic use. Antibiotics can kill the normal bacteria in the colon and establish an opportunity for C. diff to proliferate. After a course of antibiotics, a person can remain susceptible for a few months, and subsequent exposure to C. diff, usually in a health care setting, can lead to infection. This week the Centers for Disease Control and Prevention (CDC) released a report publishing the latest data on the trends in C. diff infections. These trends are not encouraging. The number of annual C. diff infections, and the number of those which are fatal, are higher than ever, with 14,000 estimated annual deaths. Virtually all of them were transmitted in health care settings. About a quarter were acquired in hospitals, and most of the rest in nursing homes. Most of the deaths were in patients 65 years and older. The increased number of infections and deaths is attributed to a more virulent strain that has emerged in the last few years, and on our continued misuse of antibiotics. The CDC estimates that about half of all antibiotics given are unnecessary. The CDC has some important advice to help stem the tide of C. diff infections. This epidemic will require attention from patients, physicians, hospital and nursing home administrators, and regional and national health agencies. The challenges to hospitals seem quite daunting. Many patients develop C. diff infections in nursing homes and are admitted to hospitals without the information about their infection being sent with them. Moreover, hand sanitizers now in universal use in hospitals don't kill C. diff spores, so doctors must use gloves and gowns to prevent spreading the infection to other patients. The CDC recommends that doctors prescribe antibiotics with greater care, diagnose C. diff more promptly, and assure that patients with C. diff are appropriately isolated from other patients. Patients should take antibiotics only as prescribed, inform the doctor if diarrhea develops within a few months of an antibiotic course, wash hands carefully after using the bathroom, and if possible use a separate bathroom if they have diarrhea. Unfortunately, we will continue to hear much more about this germ in coming years.